While Chelsea have thrived this season under the stewardship of Antonio Conte, the campaign has not been a memorable one for Oscar, with just five Premier League starts so far. “Oscar dos Santos Emboaba Júnior, simply known as Oscar, is a professional footballer who plays as an attacking midfielder for English club Chelsea F.C.” This is what fans know and understand. But the Brazilian midfield maestro has just 9 appearances to his name in the 2016/2017 season, 4 out of which he came on as a substitute, so unusual of his personality. The Chelsea midfielder, 25, is set to join Fenerbahce on loan in the January transfer window according to online media reports. But the Chelsea Boss Antonio Conte has clarified any doubt saying that the Brazilian midfielder is not keen on leaving the club. He said that Oscar is a very important player and the club still needs him. Subsequently, it’s little surprise to see the 25-year-old linked with a move away from Stamford Bridge. One of the cornerstones of Conte’s success at the club has been his utilization of a 3-4-3 setup; it’s a system in which there’s no space for a natural No. 10, which is Oscar’s best position. However, the midfielder has been a peripheral figure at the club for a while now, and as he approaches what should be the peak years of his career, Oscar will surely be keen to play on a more regular basis. After all, he possesses the talent and technique to become a creative linchpin for a lot of elite teams in European football. 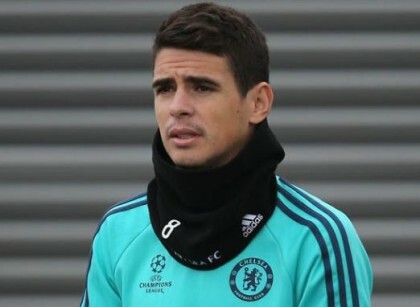 If Fenerbahce were able to land the Brazil international, it’d be a significant coup, although you sense that if Oscar were available for transfer, there’d be a queue of clubs willing to take him off Chelsea’s hands. At the moment, the player’s career is stalling, and it’s imperative he does something to break this malaise into which he’s plunged. His early success at Stamford Bridge was rewarded as he signed a new contract with the club keeping him with the Blues until the end of the 2018–19 season but will it last?